By 2020, it’s estimated that over 83 percent of enterprise workloads will reside in the cloud – but expecting your already strapped IT team to manage the additional complexity of the cloud can be asking a lot. At the same time, it can be difficult to pinpoint a cloud partner that has the expertise your enterprise needs. That’s where this checklist comes in. 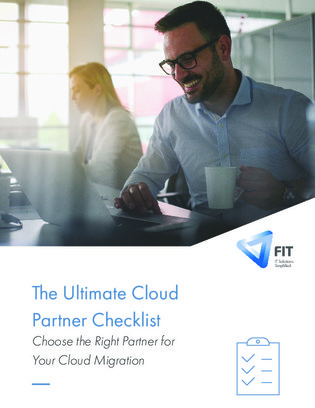 Click inside to access a thorough cloud partner checklist, detailing eighteen of the most essential criteria for selecting a cloud partner that can add to your IT team’s capabilities – without comprising budgets in the process.